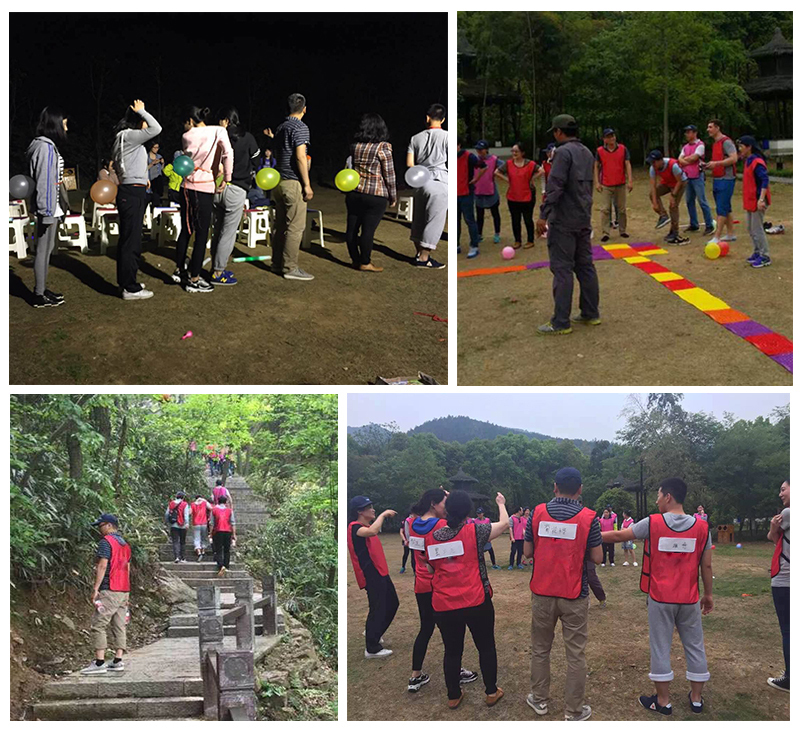 Last Friday, We Inspirer pet family organized outdoor training activities, from which we all experienced the team collaboration. We enjoyed great pleasure in training projects such as Climbing, Tear Brand, Shiatsu plates and so on. We arrived at Suzhou Qionglong Mountain Park at 9:00 am and formed into two teams-Inspirer pet sales team and other office team. The activity started by determining the team name, slogan, line formation with at least two persons’ feet not touching floor. Under the leadership of the captain, the day training activities started. We first did warm-up exercises. With the activity going on, everyone felt warmness and happiness, deeply impressed by the Climbing activity. Team members cooperated and took care of each other. We sometimes took a short break and breathed fresh air. Fresh air? Yes! This is interesting. We make fresh air by ventilation equipment, but forest makes fresh air for us. We felt exhausted when we returned to the ground. We enjoyed the later activities. It was funny and released our work pressure. Tear Brand is a competition of strength and wisdom.Sales team members are obviously stronger than other office team members, so the result is clear. But the result is not so important as the process. The training activities lead everyone to rethink the value of our work from a new perspective and understand our own role and position in the work better. Most importantly of all, it helps a lot to build team spirit and improve team work abilities in our daily work. We cannot take the fresh air away. We will continue to work harder to contribute to our Inspirer pet products, outdoor travelling with pets. May fresh air be with us forever!